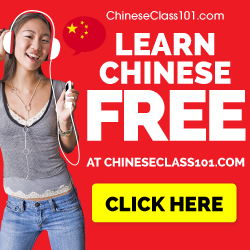 Last week, we looked at how and why to learn Chinese through television. In this article, Luke Howard will introduce several different genres of TV programs and explain why and how they can be used to learn Chinese. There will also be many suggestions for actual shows. If your favourite programme in a particular genre isn’t mentioned, leave a comment and recommend it! In part 1 and 2 in this little series, most programmes are Taiwanese, but I’m looking for someone to write follow-ups about Mainland shows as well! Pick a sport that you already understand well and enjoy watching, and then learn some of the key vocabulary for that sport before getting started. Commentator’s rate of speech varies widely, and there is usually some specialised vocabulary and phrases used. These can be easily self-studied beforehand as there’s not a lot of them for any given sport. You’ll then be in a good position to start piecing together more and more of what the commentators are saying. And best of all, you can ignore everything you don’t understand without impeding your ability to follow the progress of the game. This also goes for E-sports as well. Large events with live broadcast and online streaming have become increasingly popular in recent years. 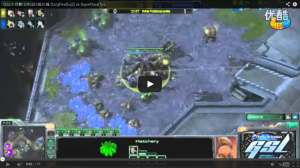 Even when living outside Chinese speaking countries, it’s often possible to watch live streams of events for popular games like StarCraft with Chinese commentary (read more about how to use StarCraft to learn Chinese here). Not to mention all the videos on YouTube. It should go without saying that if you don’t enjoy watching sport in your native language, you should avoid this genre in Chinese as well! 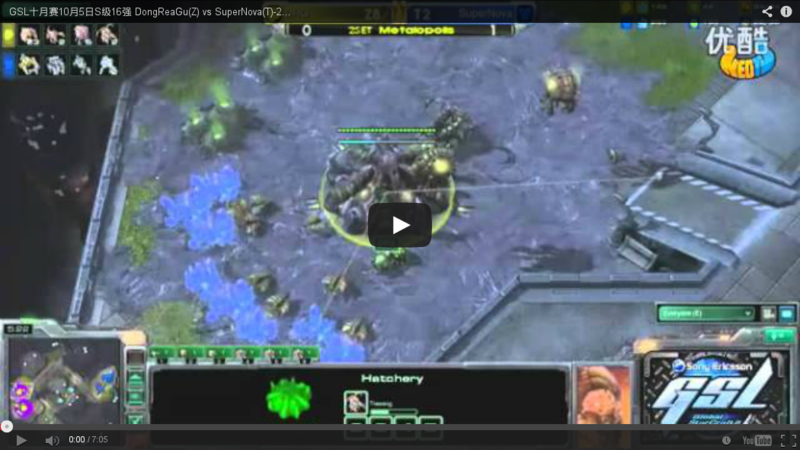 A show to get you started: Any sports match for a sport you enjoy watching that has Chinese language commentary. Beginners should start with Taiwanese super idol dramas. These are shows with a cast full of young, attractive men and women that are very famous (hence the name “super idol”). There’s usually very little depth to the story, following very predictable plot lines of love triangles. Following the plot should be relatively simple even for beginners. But the charisma of the characters and plentiful eye candy (for both genders!) keep things interesting while you familiarise yourself with the sounds of the language. Regular dramas are better suited to intermediate learners, because although the language used is still relatively basic (everyday language), the plots tend to focus more on familial relationships. Following the intricacies of these plots requires some cultural understanding, and a basic grasp of the many ways to refer to relatives in Chinese (of which there are many!). Talk shows are very popular in Taiwan. There is a great deal of variation in the content and format. Many talk shows also incorporate a lot of “game show” elements. Topics range everything from University students discussing make up, relationships and parties, through to parents discussing how to raise kids, political discussion, sports, running businesses, and even highly specific topics like North Korea observers having a debate! The level of difficulty will depend on the subject matter. Usually it will require some preparation work learning specialised vocabulary if you’ve never watched anything on the subject matter before. Participants can often get very heated during debates, so you might be surprised to find that even not so interesting subject matter can be entertaining for a while. News is challenging for a few reasons. The news anchors speak very fast, they use formal language, and unlike regular TV programming, subtitles are not usually displayed word for word. Instead, the subtitles are usually highly abbreviated sentences of less than 10 characters that require a strong knowledge of the language to decipher, and are just a summary of the current news item. Television news also has very little nutritional value outside the language learning aspect, so spending time mastering this genre should only be done if it’s something that really interests you (many people enjoy it just for the challenge of it!). This is true for news programming in Taiwan, but I’m not sure about mainland China. Many documentaries aired in Taiwan are just dubbed versions of English language documentaries (Discovery Channel etc). Still, this is one of my favourite genres as I can also learn a lot of really interesting things that are not directly related to the Chinese language. Travel shows offer an interesting look at activities you can do as a tourist in other countries (or places inside your current country of residence). They are usually very similar in format to English language travel shows. While you won’t understand everything, there are usually enough visual cues for beginners to know where the show is taking place and what activities/local food is on offer there. Lots of eye candy to keep it interesting at the lower levels. That’s all for now, keep reading part 2 here! Please also recommend your favourite shows in the comments. If you feel you’re the right person to write a follow-up about Mainland genres and programs, let me know! Several Chinese people have recommended the documentary “A Bite of China” (舌尖上的中国)which is about food and cooking across China. I was also recommended the family sitcom “Home With Kids” (家有儿女）. I think both of them are for advanced Chinese learners. Follow your interests! Luke, I was happy to see travel shows suggested, since I’m not interested in sports or idol drama. Thanks for specifying iWalker, so I know what to look for. David F, you mentioned the documentary A Bite of China, even though you said it’s more advanced I’ve added it my watchlist – I love documentaries, do you have any other documentary suggestions? It’s great to see such interest in documentaries! I do almost all my TV watching using cable TV here in Taiwan, so it’s difficult for me to know what is and isn’t available on the Internet! One thing you may like to do is bookmark http://www.discoverychannel.com.tw/ . 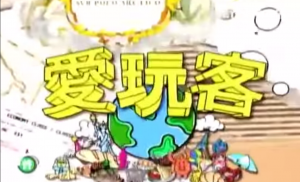 On that page there is a menu titled “節目表”, which has the program scheduling for the various discovery channels. Although I suspect most readers here probably aren’t able to watch live on TV like I am, it may be possible to get the names of shows this way and search for them elsewhere on the Internet. And David, thanks for recommending “A Bite of China”(舌尖上的中国), I have not seen that series before but it looks very interesting. I will check it out… and I’m sure many readers here will find it useful to! I second what Matia said. Specific names and air date of actual TV Shows or movies for a student level would be most helpful. I recently saw “Fated To Love You” (aired 2008). My first Taiwanese drama. Really funny and a real good watch. Dialogue was not too fast and vocabulary not too difficult either. Most characters spoke clearly but there’s a sprinkling of dialect by a few of the characters so don’t get thrown off. 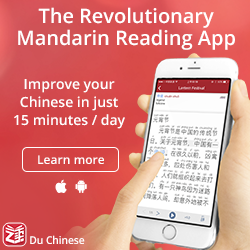 I rate myself as “advanced beginner” Chinese student with about 8 months daily study so far. I still relied heavily on the English subs 🙁 but I found that listening did improve as I went along. For my level, helps to recognize some whole phrases and sentences rather then just picking out words and bits and pieces. Best of all it was passive learning and did feel like work at all. Thanks for other recommendations from guests here. And the first drama you watch will always hold special meaning! I’ll never forget the first drama I watched (籃球火), and I’ve watched it many times through since then. Your absolutely right Luke, it holds a special place already. I’m already planning to watch it again next year to see how I would have improved by then. Yup, Mars (戰神) was my first idol drama, and it holds a special place in my heart. Of course, the manga was the first shojo manga I really go into way back in high school, so that is another layer of special. And some of 戰神 was filmed in the first neighborhood I lived in in Taiwan. And ‘Fated to Love You’ also has a special place, not just because it is excellent, but much of it was shot in Taoyuan City/County (as well as Yingge, which is right on the border with Taoyuan City), and that is where I lived for over two years. Excellent, I need a new TV show in my life so I’m going to search up the Super Idol Dramas you mention – thank you! About news programmes. I don’t watch these a lot ‘cos to be honest I’m not really interested in current affairs, but although they initially sound difficult, actually the vocabulary used is very standard, very predictable and much repeated. So if you are reading about Syria in the newspaper, then all that same vocab will pop up on the news tonight….and tomorrow night. 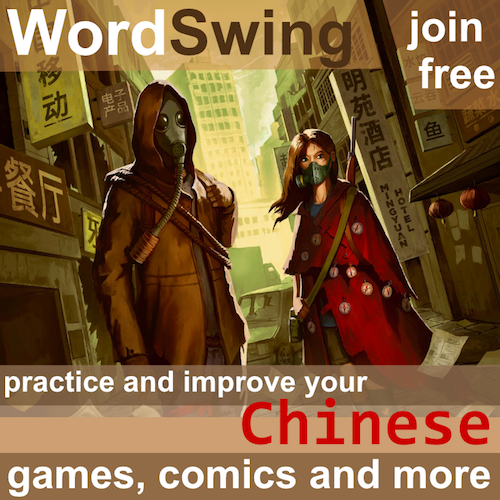 The vocab is easily reinforced and there’s no slang or local dialect to be worried about. Deadly dry though. There are a couple of shows on Youtube that I watch from time to time. 1) 非诚勿扰 – the dating programme . This comes in convenient bursts of 15 minutes or so – kinda fun. (There is also a film with the same name starring葛优 － that’s pretty good too). 2) Yang Lan’s talk show杨澜访谈录– she interviews all the big stars, noteworthy people in China – v. interesting. I would argue that wuxia is a pan-Sinophone genre rather than specific to any particular region. Yes, there are lots of differences between wuxia shows from different regions, but many wuxia fans will watch shows from all regions, mainland shows sometimes star Taiwanese actors, Hong Kong shows sometimes bring in actors from the mainland, Singaporean wuxia is often shot in China due to the lack of appropriate scenery in Singapore itself, etc. Anyway, while I probably do not have a sufficiently broad enough knowledge of wuxia TV (there are so many ‘classic’ shows I have yet to see), my pick would be ‘A Deadly Secret’ (連城訣). It is a 33-episode show based on a 400-page novel, which means that it has a much simpler plot than most wuxia TV shows, and it tells the story in a slow, methodical manner – which is great for people who do not have such great listening ability. Someone who didn’t know Chinese at all would probably still figure out much of what is going on in that show. Basically, there are a few love triangles (which are no harder to understand than the love triangles in idol shows) and there is a martial arts manual which not only describes Awesome Sword Techniques, but also explains how to find a giant treasure trove, which means lots of greedy people want the manual, and are willing to do horrible things to get it. And the protagonist is totally naive, innocent, and clueless. As long as you understand that much, you can probably follow the story. Really, aside from some historical vocabulary/phrases, it is not harder to understand than the typical idol drama. I started watching 大學生了沒 but my wife recommended switching to something mainland-based because of the accents. One warning I’ve heard is that the Taiwanese way of speaking is very “cutesy” and men who study extensively from Taiwanese materials are going to have a more girlish manner of speaking. I don’t think that is 100%, there are definitely men who speak effeminately from the mainland and vice versa, but it does seem to be true in large part. I switched over to 天天向上 which is easy to find on YouTube and features speakers whose styles are a bit more standard. 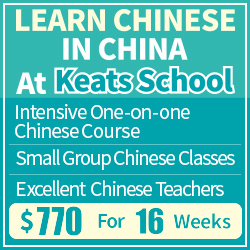 I recommend Chinese Sesame Street （芝麻街）for any beginners. It’s incredibly helpful as most lines are repeated several times, which is a great way to improve vocabulary and listening!